The month of February is officially themed the “month of love” this year in UAE. In that context I got a special invitation from La Parole Art Gallery to submit love-themed artworks for an exhibition at the Al Ain Rotana Hotel. Rule number one as an artist trying to establish one self: When you get a personal invitation from an official art gallery to submit some of your works, than whatever the theme may be, you submit! And now it will be released along with two others, which shared a similar hermitic fate. All three traveling into another city, hanging around at a five star hotel in good company of other artists’ works, intending to socialize and maybe even making new friends. Are you curious to figure out about these previously so carefully hidden works? 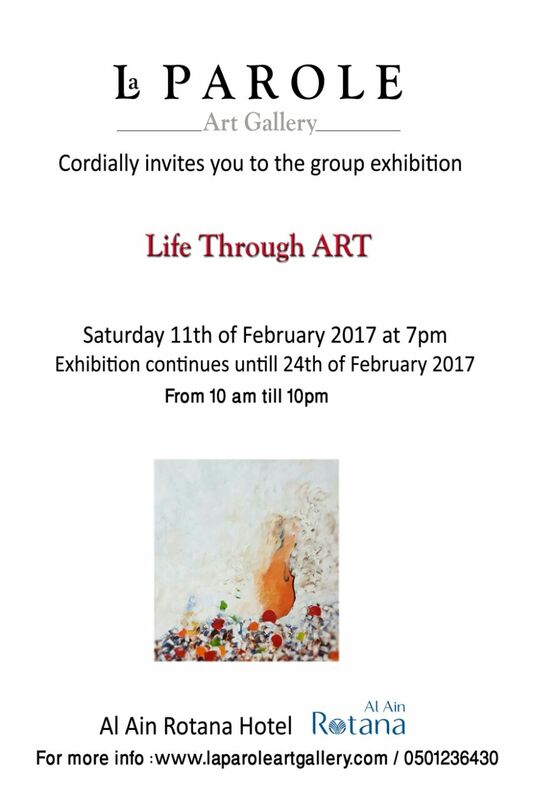 Join us for the opening on Saturday 11th February 7pm at Al Ain Rotana Hotel and figure out! Many thanks to La Parole Art Gallery, I’m honoured to be one of the hand picked participating artists!